SCOTT Sports is a leader in the development, manufacturing, sales and marketing of high end performance products intended for biking, wintersport, motosport and running. Innovation, technology and design are the essence of the SCOTT products. 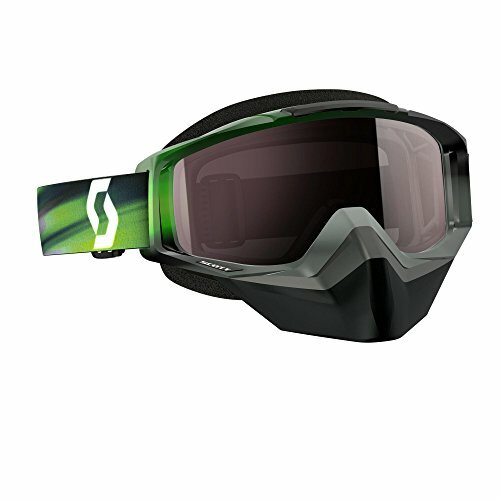 Features the SCOTT fit system, a dual pane OptiView lens, Composite snow face foam, RAMAir Ventilation to dissipate fogging and an oversized nose/face guard. Integrated RAM Air. Tyrant RAM Air plug. Big 3 layer face foam with fleece. No slip silicone lined double buckle strap Lens Features. Cylindrical SCOTT OptiView double lens. NoFog Anti-Fog lens treatment. Manufacturer number 240527-4966015. If you have any questions about this product by Scott Sports, contact us by completing and submitting the form below. If you are looking for a specif part number, please include it with your message.